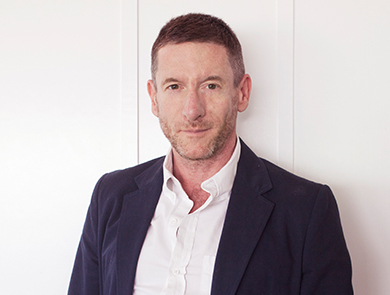 Peter moved to Los Angeles in 1998 and immediately started his interior design company. In 2003 he launched his eponymous fabric and wallpaper collection, now sold through 16 showrooms worldwide. he vision for my room at the show house is a game room/lounge—a screen-less space for old-fashioned hanging out—playing cards, doing puzzles, or simply having conversations and drinks. 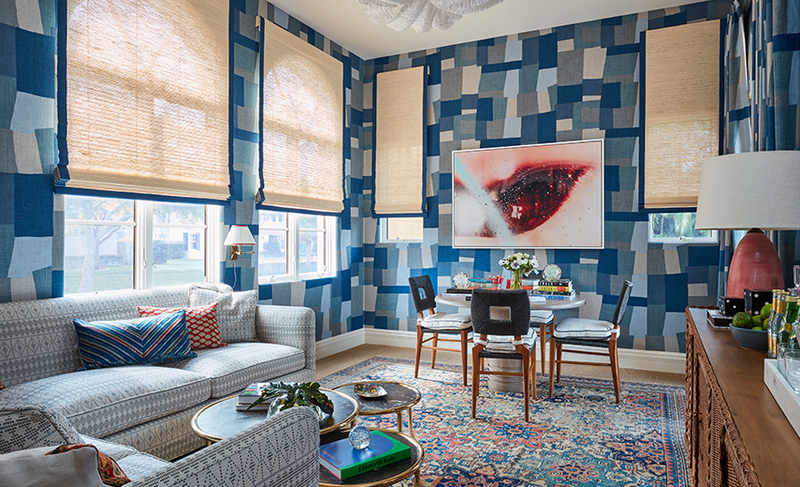 Inspired by the surrounding water, I swathed the room in blue with one of my newest Peter Dunham Textiles prints, Collage.